Divers bring sea critters to the window for a closeup view! Maui’s best shallow water reef tour is offered by the Reef Dancer. 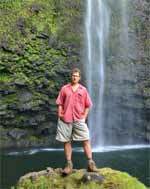 You can enjoy the beauty of the West Maui Mountains on the top deck, or go down below where the reef will dazzle you. 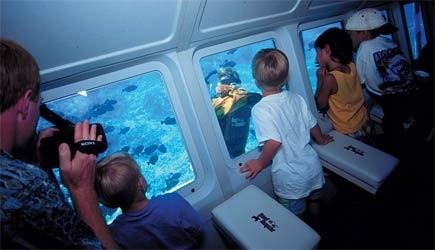 This is the family-friendly way to view the reef since children of all ages are welcome on these tours. They have two lengths of trips offered daily. The Reef Dancer is considered a “semi-submersible.” While the entire vessel never submerges, it is one huge step up from a “glass-bottom boat” because the downstairs compartment is always “one story down” from the ocean’s surface and guests look out the large view-ports for superior reef viewing. A scuba diver brings a variety of sea creatures to the windows for close-up views by guests, a feature that the kids love. One free infant per paying adult. Additional infants pay child rate. The 90 minute tour goes to a second “dive site” and includes refreshments. NCL cruise ship passengers are able do the Reef Dancer on the afternoon of the first day or the morning of the second day in port in Kahului. 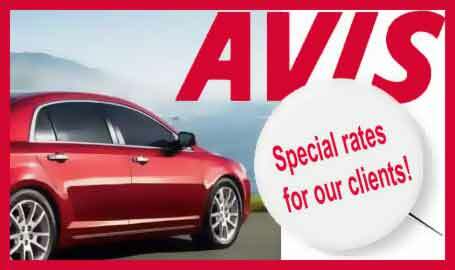 The drive to Lahaina takes an hour and we can arrange a rental car with shuttle pick-up at the harbor. Lahaina cruise ship passengers can do Reef Dancer and there is no transportation required since it departs from the same harbor in Lahaina where your cruise ship tender arrives. It is just amazing how different the world appears the moment you stick your head under the surface of the ocean. It’s like exploring a different planet with a different atmosphere … one made up of liquid instead of air. 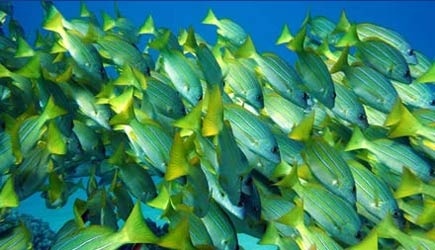 The beauty of the reef and the creatures that call it home are a must-see on your vacation to Hawaii. The Reef Dancer doesn’t actually submerge, but specializes in showing off the reef that is in 20 feet of water or less. Actually most of the fish and ocean critters are found in this range, and of course there is a lot more sunlight hitting everything. The Reef Dancer is basically a “snorkel trip for people who don’t want to get wet.” It is a great choice for little kids who are too young to use snorkel gear, or grandma who doesn’t want to get her hair wet. And access to the viewing area below is just a normal set of stairs with handrails. Guests are free to sit underwater and look out the window, or at any time they can go up the stairs and out onto the deck above the surface. Of the two tour lengths, we recommend the 90 minute tour. Since the Reef Dancer takes about 15 minutes to go from the harbor to the reef viewing area, the 60 minute tour spends about 30 minutes over the reef. With the 90 minute tour you get the second “dive site” for more viewing. If you are interested in a true submarine experience, try out the Atlantis Submarine.